Buck Rogers: Countdown to Doomsday (Sega Genesis, 1991) Cartridge Only! 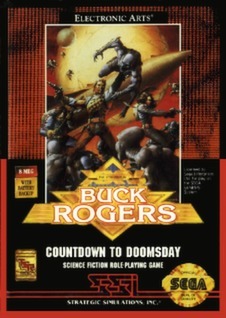 Buck Rogers: Countdown to Doomsday (Sega Genesis, 1991) very good conds!! Buck Rogers: Countdown to Doomsday (Sega Genesis) Game & Case - Plays Great!